OK, you know that thing that at times looks ugly, sticking out from your face? Yes, that thing that is messy when you have a little cold and has those few annoying hairs that stick out? Good, we are talking about the same thing here, just to be sure. 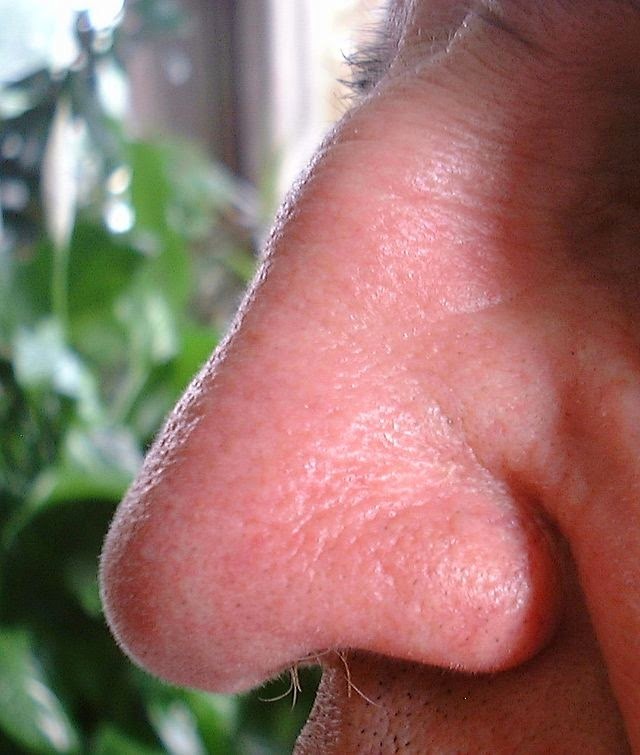 So let’s ponder here, how many different smells do you think one’s nose can discriminate? What would be your guess? Maybe three hundred, maybe a thousand? Try something over one trillion (1)! Yes, that is this number here: 1,000,000,000,000 or 1012. Again, that is one trillion different smells! Can’t comprehend the large number, don’t worry, you are not alone, most politicians can’t either. So, here’s the moment of truth, the core question…how does this type of technology randomly evolve through natural processes? Design is apparent, it is self evident.